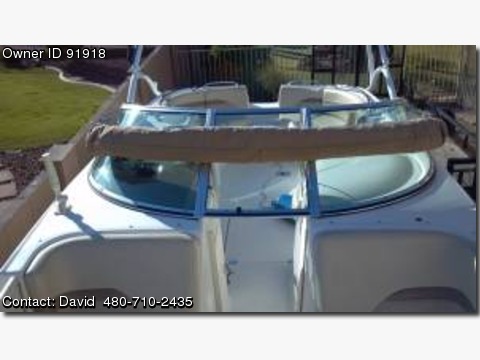 Call Boat Owner David 480-710-2435. Bad boy Fully upgraded Chaparral 274 Sunesta. Take 10 of your friend's wakeboarding, or skiing and never worry about the power to pull them out. Professionally built Mercruiser 6.2L Mag with Whipple supercharger, and captains' choice CORSA exhaust system. Bravo III drive with stainless props, New Dual batteries with switch and isolator. Fwd. and aft. bimini tops, JBL stereo with IPod Dock, Jabsco pump out toilet, Full mooring cover, Swim platform with shower, Pressure water system, docking lights, wet bar, Tandem axle trailer, new tires. Fresh water only , Boat is located in Peoria, AZ. Professionally maintained and full service completed 11/1/11.